For those of you who do not have a craft store near you where you can purchase kits and have never made a homemade hand tied fleece blanket before, and would love to help us out with the blanket donation drive but aren’t quite sure how to, we have great news to announce today! Perhaps you have seen the latest blankets that were donated to our blanket drive earlier this week. These are hand sewn fleece blankets. They are beautiful aren’t they? 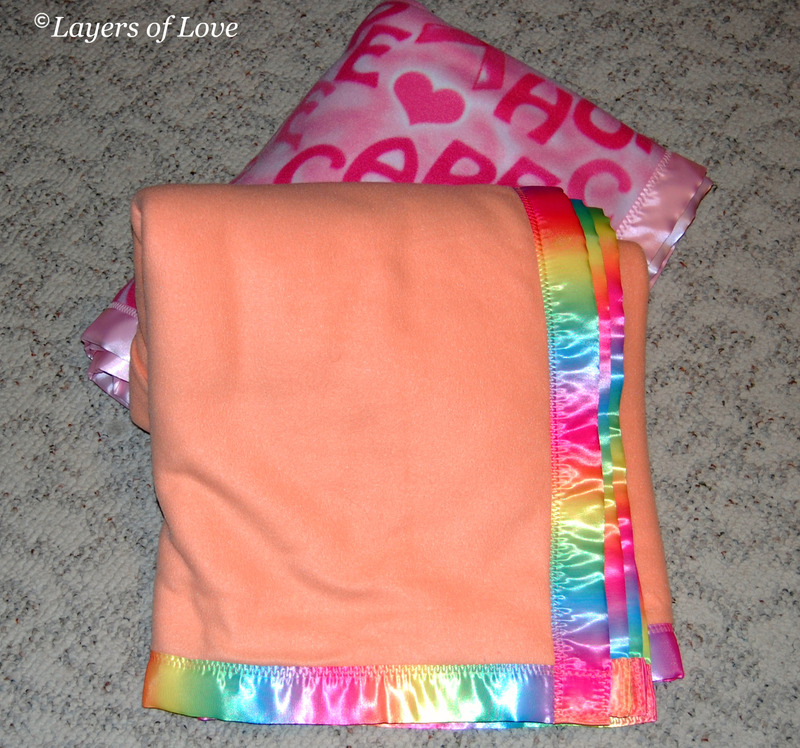 Here at Layers of Love we know not everyone has the stores where they live that carry the No Sew Blanket kits. We also know that many of you would love to help out with our blanket drive but aren’t sure how to help if the kits aren’t available to you. We now have an exciting new way for those of you to be able to help our donation drive. Today we are very happy to announce that we have a volunteer who would like to sew these blankets for us. We are now able to accept donated fleece fabric!! With a great deal of thanks to our talented volunteer, we will be able to have the blankets prepared and ready to use from your generous fabric donations. What kind of fleece fabric should can we use? We can use basically any kind. 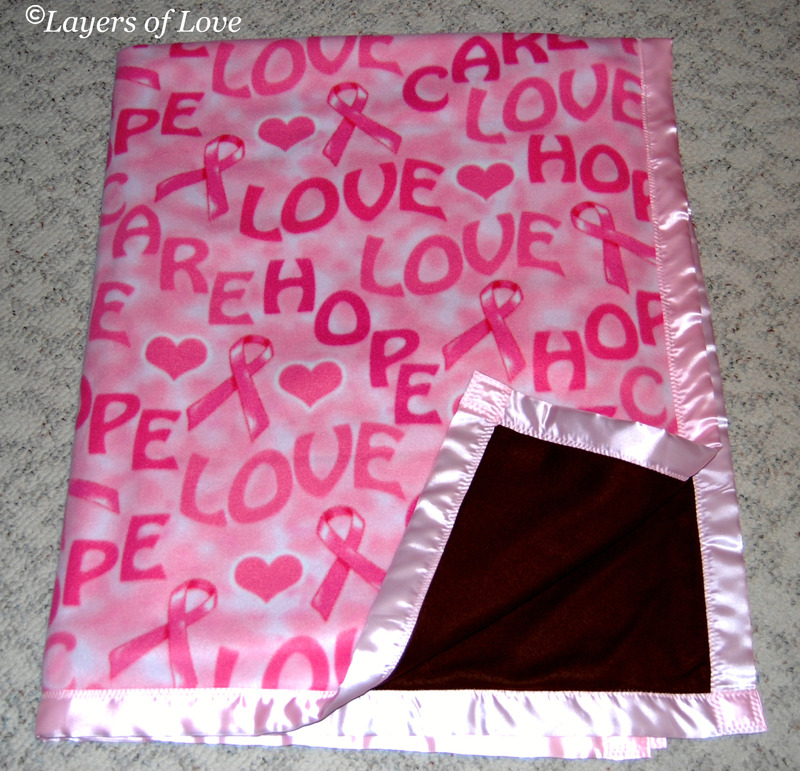 Remember, these blankets are going to adult chemotherapy patients, both male and female. You could choose a sports theme, a patterned theme, or just a solid colored fabric. We recommend that the fabric be at least 72 inches in length. Your fleece blanket donations are making it possible for a cancer patient to have comfort and warmth as they are undergoing chemotherapy treatment at Cooper Cancer Institute in Voorhees, New Jersey We are so thankful and grateful for all the donations we have received so far. None of this would be possible without all of your help. Thank you! This entry was posted in Donations, Uncategorized and tagged cancer, chemotherapy, Cooper, Donations, fabric, fleece, hand sewn, kits. Bookmark the permalink.